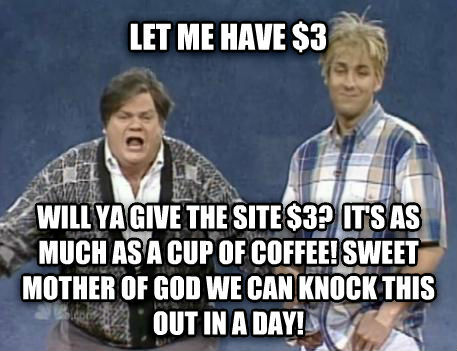 will ya give the site $3? it's as much as a cup of coffee! sweet mother of god we can knock this out in a day!